American Little League was home for my neighborhood crew and names like Davis, Gaudenzi, Marshall and Joyner were all stars. Mr. Gilmore was a great coach. There was always a trail that could get you home faster and we ALL had our favorites! If I pulled out a caroms table for my kids they would look at it like a deer in headlights, asking "where's the controller", and reminding me that the graphics stink! I do remember great schools with great teachers (even though I found ways to usurp authority daily)…only to be reminded with a plethora public school disciplinary parodies. Breakfast Club, Saturday Detention (that was a bummer) and what da' hell is "In-School Suspension"? Luckily I mended my ways! Standing behind the crew on a snow day as a police car passes by and being the instigator that tossed a perfect strike at the officers widow…it's easy to laugh when you did not get caught, but, the heart pounding chase, escape and evade has me laughing today. Being sent to the A&P and walking the extra block to Vittiellos (those rolls were like a drug) and clearing the tasty middle before I savored that unforgettable crust. Church Hill After School! Sometimes avoidable, but, a necessary evil at times. Often a spectator (go ahead and admit it…you know you did it) and sometimes I was in "The Main Event"!!! It's funny, they have an elaborate school bus schedule for my three kids, but, some of my best memories are from walking to school. Cross-town was not so long when Kierstead picked up Hopper, Hopper picked up Bloomfield Ave and by the time you got to Centre St 90% of your crew was together! Cross-town walks were common and a natural occurrence. 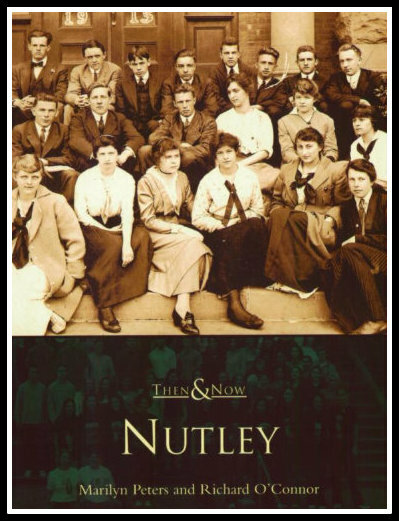 Girls, parties, the occasional gathering in a less than traveled spot (unless you were "in the know") Every subculture and section in Nutley had it's own spot and I can say somehow I was welcome in them all…can you name your spot in "Old Nutley" without revealing too much information??? THAT'S WHERE THE REAL MEMORIES ARE! Metalists, Burn-Outs, Shackers, Bernies Crew, Jocks, Band Geeks, too many to name! I cannot cross the Jersey state line without a trip to Rutt's and we're talking 124 miles one way! Two Rippers, a Frenchy gravy, large root! Back in the day I thought Willowbrook Mall was big, but, every visit to my old hometown reminds me that Shop- Rite secretly has ambition to have more square footage than Newark International Airport! Food was (and still is) king! I worked everywhere from being the salad bar attendant at the Ramada Inn (remember that place…ten names ago? ), Yesterdays, Alan's Place, Yeah, Buddy Testa's dad had the place before it was Poet's and Franklin Steakhouse (Johnny Mags was just the sharpest businessman to have it with ambition, a vision and the you know what to get it done) basically I cooked everywhere imaginable that a bicycle could take me before I was 16. I knew I wanted to be a chef before I had a drivers license…and NUTLEY along with coming from a food first family is directly tied to my success in business. Italian, Irish, Jewish, African American, Spanish, so many influences and I was always eating at someone's home or they were at my home enjoying my grandmothers food which I now call contemporary southern cuisine. I've made food for dignitaries, professional sports franchises, Disney World Resorts and a long set of A-Listers, but, none of it compared to the rich flavors I grew up with in Nutley. The best was being the paperboy for mama Santini. I'm not ashamed and I had a pretty big newspaper racket as a kid stealing accounts from other neighborhoods while dreaming of building my own little Star Ledger empire. I'd come to collect for the weeks papers and with her broken English she could not even say my name properly. She would say "Kit" and wave for me to come in. Then she would lead me to the kitchen and say something in Italian basically telling me to grind the tomatoes. She would talk to me and I'd kinda get it, but, I knew she was to be respected and was just another sweet version of my own grandmother…to me, THAT is Old Nutley. Keith is not nearly as old as he thinks he is. At the ripe old age of 13 my parents moved to Miami in 1949,we lived in Delawanna on Princeton St. at the end of Hillside Avenue. Four houses from the Nutley line. Our P.O. address was Nutley and our telephone was a Nutley number. In fact I still have a cousin living on Hillside Ave and one on Center St. I remember the ITT tower being built, my mother taking a Nutley cab home from the super market, it's funny I can still remember the telephone number of Nutley Cab it was 2-1515 and The owner was our dear friend Charley Andriola. My dad got all of his gas at Piro's Gulf Station on Center St.
Football in the fall was great especially on Thanksgiving morning pitting Nutley against Kearny. 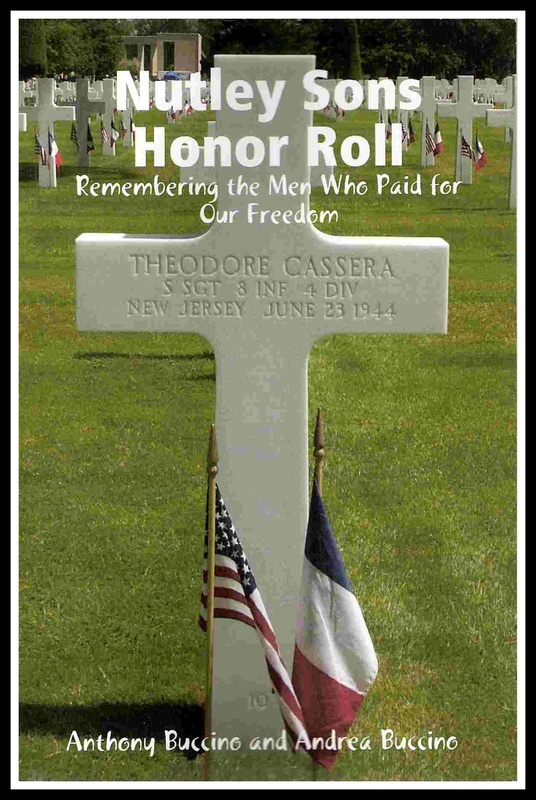 On the front lawn of Nutley High School we would take our scrap metal for the war effort. 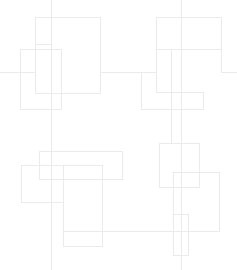 I now live in Atlanta and came across the web site by accident and I really enjoy it. I was born in Newark's 1st Ward [Branchbrook park area} and a cousin of my mother married a person with exactly the same name as you. Is it possible to get an E-mail for Nick Homyak. I believe I grew up with this guy on Humbert Street in Nutley. 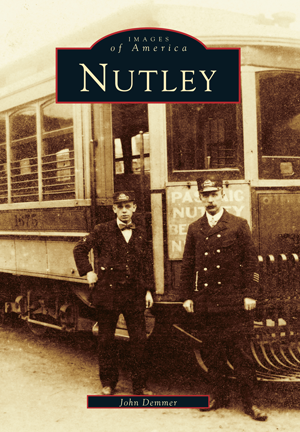 As a lifelong [except for three years] resident of Nutley, I have quite a few memories. I grabbed candy out of the barrels in Candy Corner. I've had ice cream sundaes in The Western Scoop. I've eaten fried fish in Seafood Galley. I took swimming lessons at ITT and skated on the pond in the winter. I bought my first Kiss poster at Sound Tree. I took guitar lessons at Giovine's. I carved my name in the men's room at Maggie's Garter. I've been chased with a broom by the crazy old lady that used to live next to Town & Country Diner. I went to Roseanne's Sweet Shoppe every two weeks to buy the new copy of Circus Magazine and had a real Cherry Coke at the fountain. Amazingly, my name is still spray painted on the wall by the stairs in "The Park". I've shopped at Food a Rama and Delmonico's Pharmacy. I used to buy baseball cards at "Steve's". I've had coffee at the counter in Dunkin' Donuts. I've had my baptism, communion, confirmation and wedding at St. Mary's. I'll have my funeral there too. I remember the "old church". Rutt's Hut is not a memory, it's a way of life. I have heard Black Sabbath's "Iron Man" played on the jukebox in Santini's and Mr. Sub's. I've eaten Italian hot dogs pulled from jet black oil by the tall bald man in B&T's while "Angie" played on the jukebox. I remember when Bradlee's was connected to Stop & Shop and you had to cross "the pipeline" to get there. I've played Asteroids at Rocky's when it was across from Garden State [ no hunting] I bought cigarettes at Rite Aid when they were 67 cents a pack. I had my first bank account in Nutley Savings. I worked at Viola Bros. I played Pac Man in Ken's Corner. I've shopped at Gantner's and Peerless Stationary. My girlfriend worked at Thom McCann's. The Franklin theater was the only theater back then. I've been to Sam Brown's more times than I care to remember, I'll be there at least once more. I used to get my hair cut at Nunzio's, since Nunzio died, I don't get my hair cut any more. They changed the stop signs at Grant and Walnut two years ago, I'm still confused. I have eaten cookies hot out of the oven from Famous Amos'. I remember when Ralph's had the best pizza and the Nutley Pub was a good place to just hang a few cold ones ... some things never change! 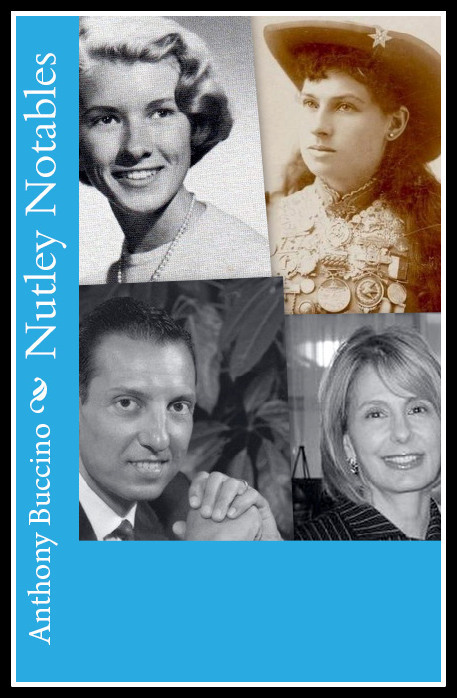 You are definitely from old Nutley if you took dancing lessons at Miss Maureen's on Franklin Ave., or if you remember stopping at Mr.Tozzi's Cleaners on the afternoon walk home from St. Mary's school to get a drink of water from his fountain, or hearing the tripe truck early on Tuesday mornings and watching the little Italian Grandmas run out to get brachiole or calves livers wrapped in brown paper for dinner... best of all if you remember when Zinicola's bakery made pizza on Friday nights and you could smell it for blocks! As kids we stopped at Freddie's Grocery and Butcher shop on Union Ave across the street from the White Oak Pharmacy. We could get penny candies. My grandfather would give us 50 cents each and we would bring home 100 pieces of candy.....that was in the early '70's. I went to St. Mary's School and they used to block off Lafayette Street and St. Mary's place so that no traffic could get down the streets and we could play during recess and our lunch period. Gene Kucinski who owned the Polish bakery was a great friend of my grandfather's. I remember my grandpa taking us there very late on Friday and Saturday nights or during the summer while Gene was baking. Sometimes my grandfather helped him keep the old coal furnaces running to heat the brick ovens. As of this very moment, I have never had a better piece of pumpernickel bread than Gene Kucinski made. But the best in my book was his jelly donuts! I have never since had one like them! 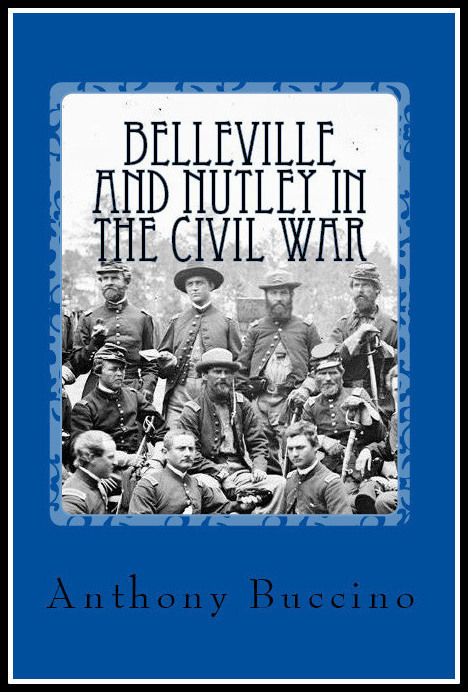 I moved away from Nutley years ago but I return regularly because the family is still there. I have lived all over the country....but when I say that I am going "home for the holidays" I mean Nutley. I miss Gene and my grandpa....I miss old Nutley too. I wouldn't trade those memories for the world. Thanks for letting us all share......boy, I could really go for a Brookdale Soda right about now! The 5 and 10 on Franklin Ave. in Nutley Center and the lady with the big white hair-do watching every move you made as you shopped! German Bakery on the corner of Franklin and Vreeland Avenues....we lived nearby and they used to cook our turkey on Thanksgiving for us! Great people! The Grand Union!!! My dad used to pick up shopping carts for them and deliver groceries! The gift shop on the corner of Franklin and Vreeland Avenues. YES, I remember Up with People...was in it for quite some time. Great folks and great times! The Shop-Rite Annex....was a great place! Remember when it WAS THE SHOP-RITE?? Gantner's Hardware...if you needed a part, they had it! Candy store on Franklin and Vreeland....all that penny candy... filling up a bag right before you went to the Franklin Theater! Holy Family Church...was in HF School when new one was built. Met my husband doing Holy Family Church theater in 1977...and still married! How about those town musicals??? Carousel...was my favorite! Love the website...will continue to watch it. Please use my initials if you post any of this. Thanks for the great memories. 10. Playing little league for Mr. Carbley. If we won, he'd buy the whole team hot dogs. I'm a Vermonter who visited Nutley every summer from 1955 to 1969. My uncle was Tom O'Rourke, the principal of Yantacaw School from 1953 until his untimely death in 1969. Tom first lived at 460 Franklin Avenue in the Meriam Apartments where Flo Cavanaugh was the "Super." (Had no idea what that meant when I was 8, but I knew that she was in charge!) I remember seeing The Searchers at The Franklin in 1956 and then going next door to a restaurant called Betty's. When Tom and his wife Judy moved to 21 Fernwood Terrace I met their neighbor, Paul Frazee. He had a tandem bike and we peddled all over Nutley in 1959. We bought model cars in a basement store in a house, but I have no idea where it was. There was a neat store on Passaic Avenue called Soden's where we got cherry cokes and lemon ice. My uncle would send me over each night to pick up the Newark paper which the owners placed in a front window. Across the road was the BSA cycle dealership. And on the corner was where the DeCamp bus would stop. On Tom's sidewalk I spray painted many models, leaving the evidence for years to come! Nutley always seemed like a home away from home. I walked all over the town in later years and never had a bad experience. The neighborhood was friendly and I remember Judy mentioning a friend on Elm Street named Mrs. Kostyra, but I never had the pleasure of meeting her daughter, Martha! 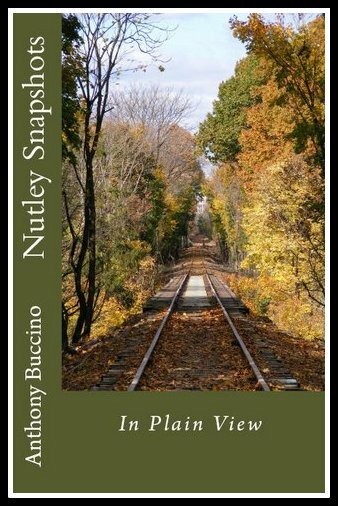 Yes my memories of Nutley, New Jersey, are many, and all good. I realize that I don't qualify as a resident, but I always feel like a part of me is there. Thanks for letting me share these with you. HI IM NOT FROM NUTLEY, BUT I'VE BEEN THERE A LOT. I WAS BORN AND RAISED IN HARRISON NJ. BUT I JUST WANTED TO TELL YOU THAT I REMEMBER THE O'DOWD'S MILK BARN ON RTE 10 IN PINE BROOK. IT WAS A GREAT PLACE AND HAD GIANT ICE CREAM SUNDAES. IM IN TEXAS NOW. walking to Nichol's park to watch softball games - Stable's (sp?) Diner had the best team. wiffle ball in the street, and yelling "car!!!" every 30 minutes or so...no one was parked on the street unless it was family visiting. Halloween - walking door to door for blocks after dark and not worrying about a thing! No flashlights and no caravan's waiting at the end of each block. driving around with the family to look at all the Christmas lights! Ralph's Pizza - watching Ralph himself make the pies! Paul's Deli - "Cream O Land" milk with the plastic strip glued to the sides of the carton to hold two 1/2 gallons together. Yankees - owned the world - where were YOU when you heard about Thurman Munson? baseball cards (doubles, of course) clipped on to our bikes using clothes pins for that "motor" sound. Walking the tracks to Rizzuto Berra Bowling alley (without our parents knowing) - and not having enough money to actually play, but noticing all the memorabilia in the glass display cases. Haffners' Garage and Bit 'n Spur Tavern and Tony's Barber Shop--all by the RR trestle at High and Franklin. Kolodin's Drug Store and Kirk's Hardware across the street. Senior Assembly '55 at the HS when real cannon was shot by yours truly and burned the curtain and emptied the auditorium. Mr. Asmuss (HS) and Mr. Goldberg(JHS) -principals. 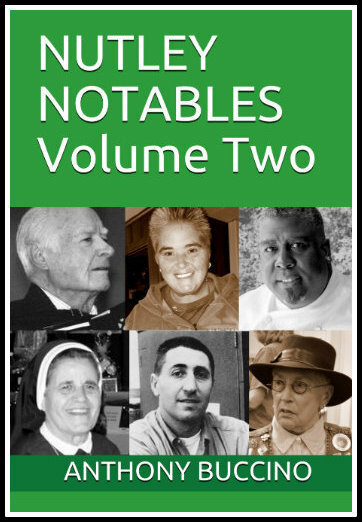 Teachers (1943 to 1955)with real impact on future lives: Yantacaw-- Ms.Courtelyou; Ms.Parks; Ms. Pryor; Ms.DeLong; Ms.Mitchell; Ms.Smith Jr. High-- Mr.Tien; "Limpy" Gimbel; Mr.D'Andrea; Mr. Blackman: Mr. Garnicius[sp?] High: Mr.Timmons; Mr.Fitch; Ms.Ciccone; Who were the great shop teacher and the art teacher? Lovers' Lane at Garrett Mountain. My Pals forever--now gone: Tommy Lubben and Norm Kelly. Not sure if this was mentioned but does anyone remember the "Little Willy" grave? I remember Bill Tones, Tony actually helps to run the Belleville Little League where my son plays. I lived right next to 7-11 and I remember it being built along with the dry cleaners right behind it. 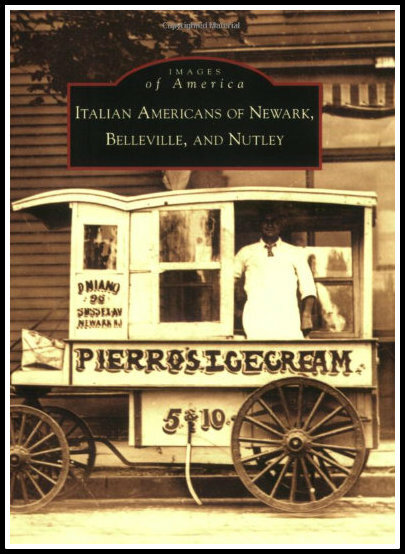 Before it was Carvel on Franklin Ave., wasn't it a Krauzers?? I was in there every morning before H.S. Remember when they would throw bread out the window at Vitiello's Bakery, if you screamed loud enough for it and it would be nice and hot!! Does anyone remember the candy store directly on the corner of Passaic and Harrison? Favorite hangouts were Santini's Pizzeria (every single day for lunch listening to Bon Jovi on the jukebox). The "cheese" Always walking Franklin Ave., back and forth all night long!